Nick Jonas Dating Timeline: Who's He Dating Now? 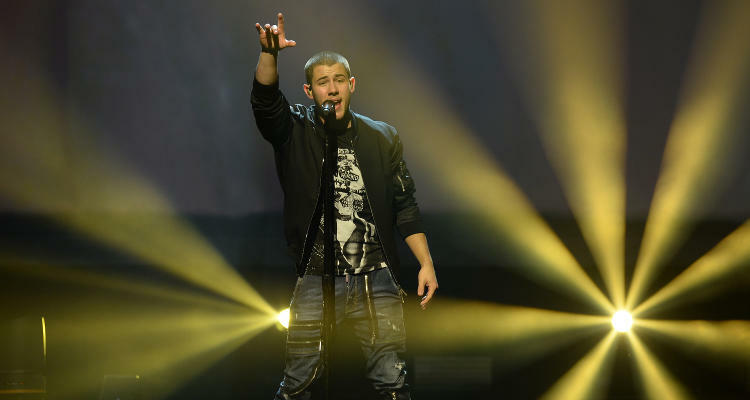 Nick Jonas Dating Timeline: Who’s He Dating Now? American singer-songwriter and former member of the pop rock band Jonas Brothers, Nick Jonas has grown up in the spotlight and is no stranger to being romantically linked to an endless bevy of beautiful women. The big question is, who is Nick Jonas dating right now? The “Jealous” singer has had a fascinating love life in the past, keeping the media on its toes and guessing about his many lady loves. But, who is Nick Jonas’ girlfriend? Our guess is as good as yours since the rumor mill just won’t stop churning. Join us as we take a little trip down Nick Jonas’ dating timeline. Jonas and Miley Cyrus were considered to be Disney’s ”It” couple, having dated for a whole year (2006-2007). Although they kept their relationship on the down low, Cyrus spilled some juicy secrets about their time together in her book Miles To Go. There was a possibility of the couple reconciling in 2009 and Jonas sang about in his song “Wedding Bells” in 2012. Alas, their reunion was short-lived as the “Wrecking Ball” hit maker moved on and got engaged to Australian heartthrob Liam Hemsworth. A few months ago, Jonas confessed in an interview that his first kiss was, you guessed it, Miley Cyrus! They pair had shared an innocent peck outside California Pizza Kitchen in Hollywood back in the good old days! Nursing his broken heart after the breakup with his first love Miley Cyrus, Jonas quickly found solace in another Disney star’s arms: Selena Gomez. The pair was spotted together many times in 2008, sparking rumors that they dated briefly before splitting up in 2010. The “Kill Em With Kindness” singer/actress also played his love interest in the Jonas Brothers music video for “Burning Up” and later went on to have a torrid relationship with pop singer Justin Bieber. Jonas is rumored to have dated Courtney Galiano, a contemporary dancer who starred in season 4 of So You Think You Can Dance. She was a fellow dancer in the Disney Channel’s original movie Camp Rock alongside Jonas, and the two were spotted together at concerts, which set off speculations that their relationship went beyond friendship. Post-Galiano, Jonas was linked to American actress Nicole Anderson, who played his love interest on the TV show Jonas L.A., although nobody knows what went down with the duo in real life. Tongues started wagging when they were spotted out on a double date with Jonas’ good friend, singer Demi Lovato, and his older brother Joe. Anderson currently stars in Beauty & the Beast and has appeared in TV shows like Pretty Little Liars and its spin-off, Ravenswood, as well. Jonas was rumored to have been dating SAG-nominated actress/singer Samantha Barks, who played the role of Éponine in the film Les Misérables. They were shooting together in London’s West End, and Jonas was said to be dating both his costars ,Barks and Lucie Jones, at the time. Jonas defended himself on Twitter stating that the rumors were false but refrained from commenting on dating just one of them. After Jonas and Goodrem called it quits, the former was spotted on outings with Victoria’s Secret supermodel Gigi Hadid, who was officially dating Australian musician Cody Simpson at the time. They were spotted watching movies and going to Disneyland together. This relationship came as a surprise to everyone because, apparently, no one knew Jonas and the British singer Rita Ora were dating. Their short-lived relationship came into the spotlight when Jonas released a song called “What Do I Mean To You” in 2013 and explicitly mentioned her name in it. Jonas has publicly stated that the song was about someone who was not very nice to him. Jonas met Miss Universe 2012, Olivia Culpo, when he hosted the Miss USA pageant in 2013, and the two were inseparable over the course of the next two years. The former beauty queen often used to post adorable photos of the couple on Instagram. Unfortunately, their relationship fizzled out as well, and Jonas announced that they had broken up in June of 2015. For the past six months, Jonas has repeatedly been linked to Hollywood actress Kate Hudson. Admittedly, the two make a great-looking couple and have been spotted together on numerous occasions. Jonas was first seen with the actress on a roller-coaster in the Magic Kingdom in Florida in September of 2015. They spent the whole day together at Disney World and the night in Orlando for Jonas’ show. They were even spotted having brunch together in Miami the next day. Jonas dismissed the rumors when asked about Hudson, but they were seen leaving separately from a nightclub in New York. In an interview in October, Hudson kept mum about their encounter saying she didn’t want to address any gossip. In May, they were spotted on a date in NYC and stayed together at a hotel. Only time will tell whether this is a relationship or a just a fling!